Shiloh Run Press recently launched a dedicated website for the Names of God book series. 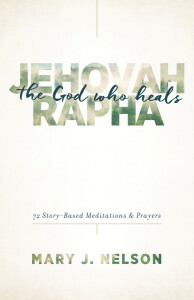 The first in the series, Jehovah-Rapha: The God Who Heals, is a book of prayers, devotions, and stories for those seeking physical or spiritual healing. The book was released in 2016 and is now on sale for $1.99 on Amazon Kindle. 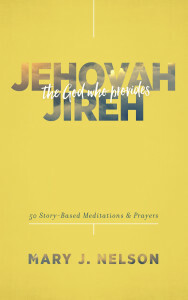 The second in the series, Jehovah-Jireh: The God Who Provides, is for those struggling with unmet needs in any area of life and was released in 2017. Future books in this series will have similar titles: Jehovah-Shalom: The God of Peace (Judges 6:24); and Jehovah-Nissi: The God Who Conquers (Exodus 17:15). Each book in the Names of God series is based on a name of God that describes His character and how He cares for His children. With compelling teaching on relevant scriptures, passionate prayers, and engaging testimonies of God’s power today, you will be drawn ever closer to the One who is the same yesterday, today, and forever. You can purchase both books now on Amazon, at any online retailer or at your local bookstore. Learn more at www.namesofgodbooks.com and my author website. Have you lost your job or are you struggling financially? 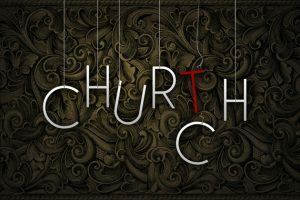 Do you feel like all your prayers are bouncing off the ceiling and going unanswered? God Will Provide is the perfect book for job seekers, the unemployed, the financially burdened, and anyone who desires to approach their life and work from God’s perspective. These ten meditations and prayers will remind you of His timing and His love for you. ​ For help in trusting God’s provision, go to the Names of God book series website to download your free copy. 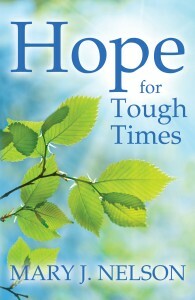 For further help through difficult trials, Hope for Tough Times will be free again on Amazon Kindle from June 30 through July 4. This book can help you break through the barriers that can keep you from finding God in the midst of illness, injury, broken relationships, unemployment, personal loss, and other life challenges. Clear Bible teaching illustrated with the true stories and life experiences of other believers will take you on a rare journey into the heart of God. To download your free copy, go to Amazon Kindle starting June 30. The download will work on any reading device. That’s all for now. Thank you for your kindness and encouragement that keeps me writing!